The masterclass kicked off at 10.30 with us sitting down to pastries and coffee while Martin did all the hard work. 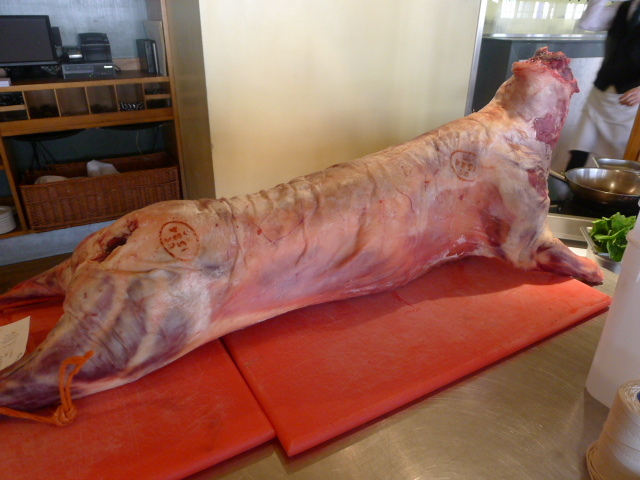 This was followed by lunch with the main course showcasing the lamb. We started with a lamb broth with veg and pulled lamb. The broth had been cooked overnight in the oven and was wonderful and heavenly. 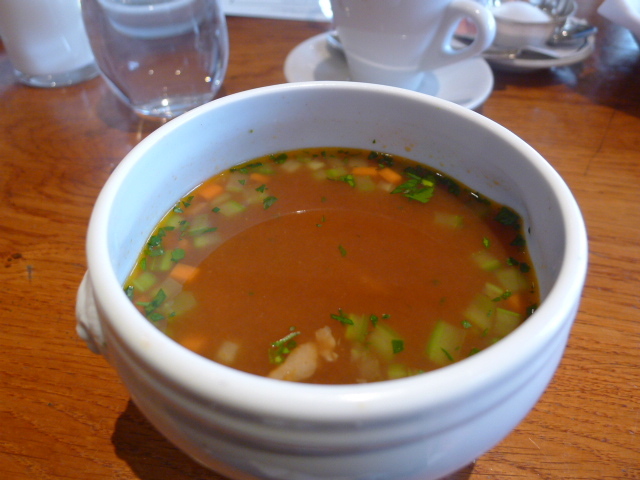 There was a fantastic sweet lamb flavour running through the broth. 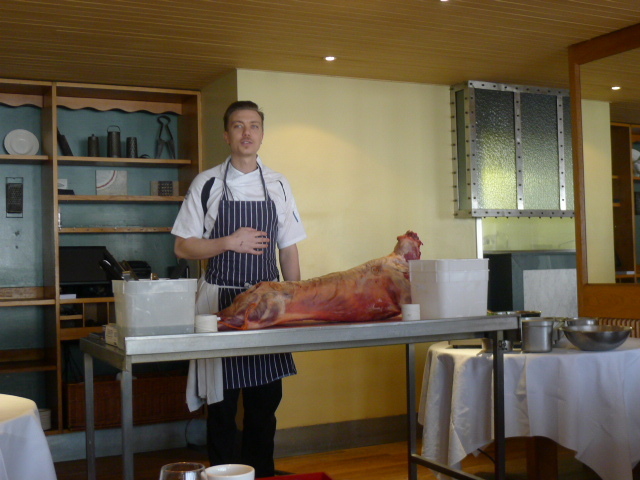 Martin also cooked a lamb cutlet for us during the demonstration to taste which was stunningly flavoursome and tender. 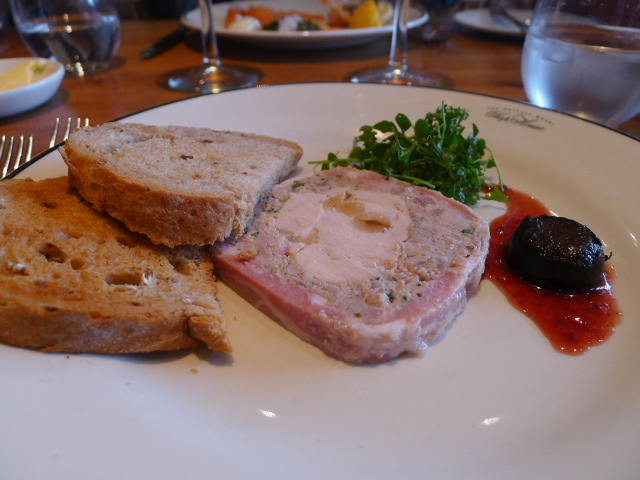 My starter was a middle white pork terrine with a pickled walnut which was also delicious. The pork was moist and flavoursome, and the pickled walnut with its lovely soft texture and gentle hint of acidity worked well against the pork. 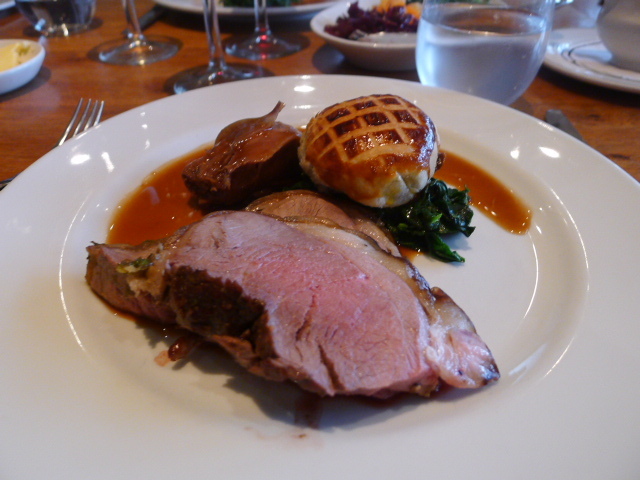 Lamb cooked three ways – roast leg, braised shoulder and a haggis Banbury cake – was satisfying and tasty. The standout element was the haggis cake. Containing lamb kidney, heart and liver, and cooked with port wine and shallots, the cake had been baked in pastry and was fantastic for it was rich with flavour and soft in texture. The braised shoulder was also very tender, and the leg was pleasant in a Sunday roast sort of way. Dessert of sticky toffee pudding and toffee sauce was a touch too sweet. 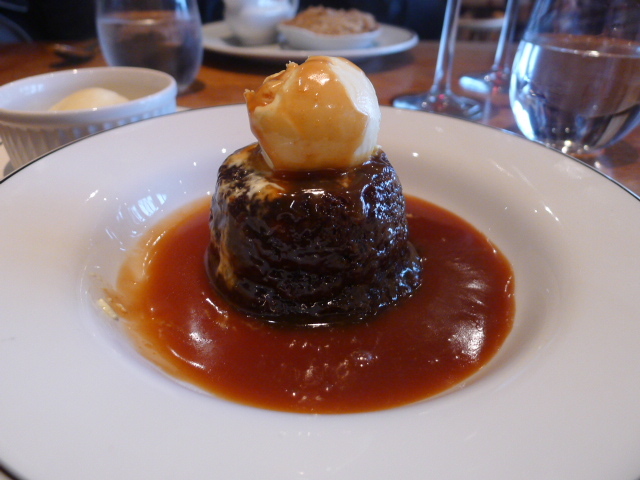 But the texture was lovely, and the accompanying clotted cream helped to cut the richness. This was a highly educational and informative experience followed by a satisfying and filling lunch. I was impressed with the quality of the lamb and Martin talked with passion and enthusiasm about the meats he uses at this restaurant. The Chop House is a meat house through and through where one can enjoy big plates of meat cooked well and with simplicity. This was hearty, rustic stuff. The a la carte menu seems reasonably priced too. The next course is on Saturday 17 March 2012 and costs £35. Contact the restaurant to book any future masterclasses. Price range: £19 – £37 for three courses from the a la carte menu. Excludes drinks and service. 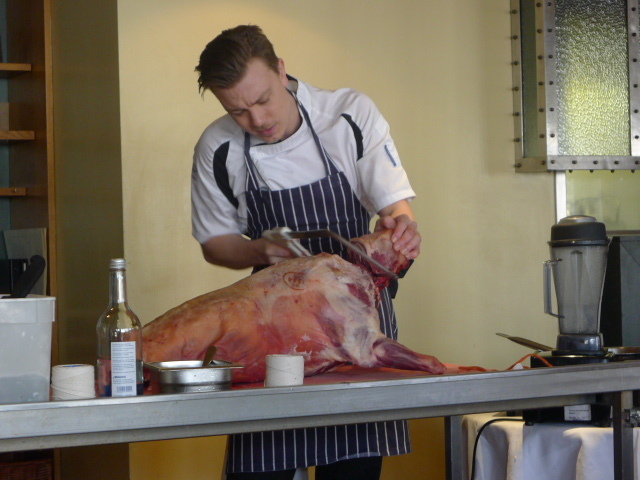 I have been to various different cookery schools, but never thought of going in a butchery workshop/course. Sounds like a great idea. Its definitely worth a go. You learn alot. I hope you find a class to try.